Marble is a soft stone, and can scratch, stain and etch with use. 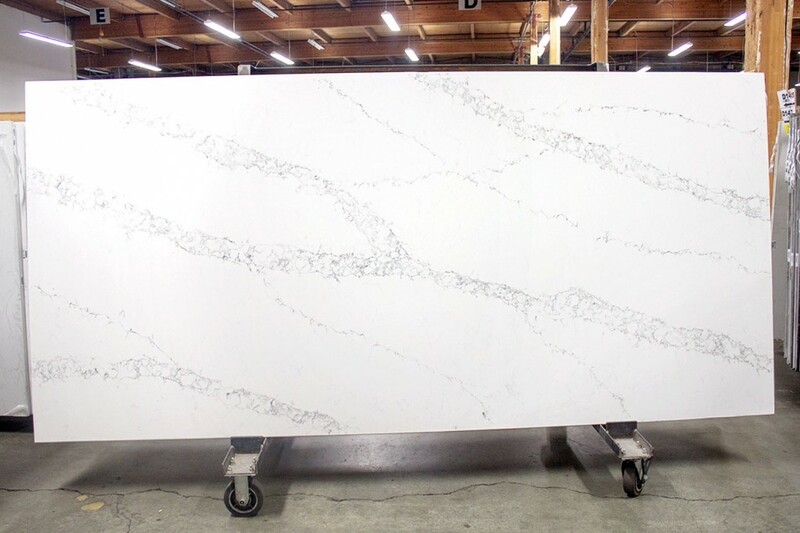 When you consider both the price tag of real marble and how easily the stone is scratched, it can make marble countertops out of the question. For some, having a well worn and etched stone is just part of the experience of owning marble. If you want the look of marble without the price tag and without all the worry, there are options. 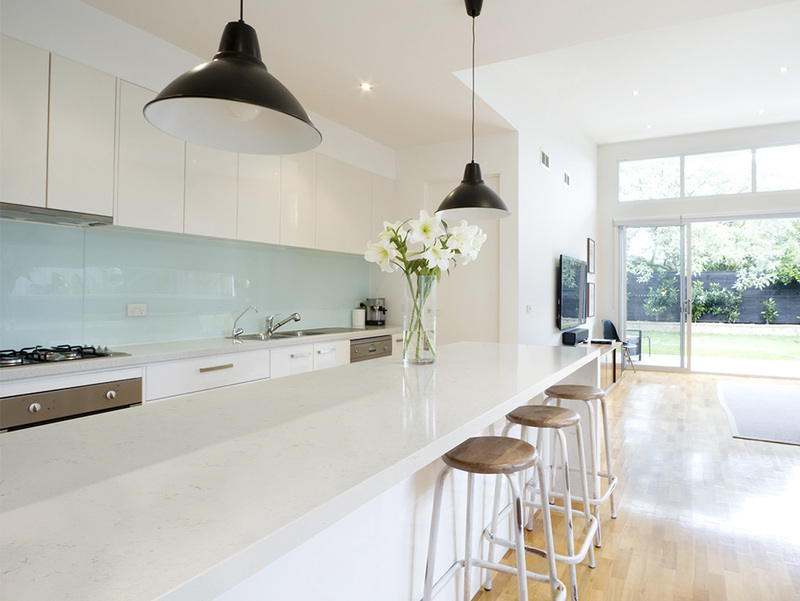 Quartz is one of the most popular countertop materials right now, and for good reason. It has all the beauty of natural stone but is hard, and scratch, stain, and scorch resistant. 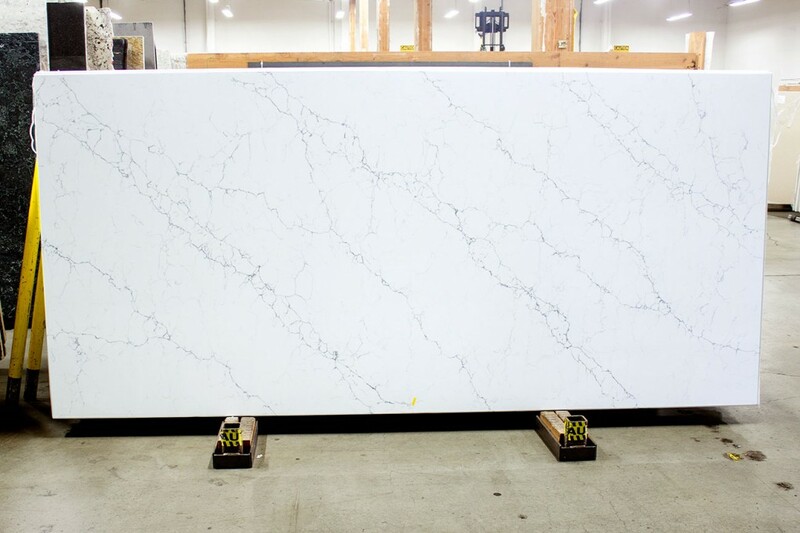 We thought it would be helpful to prepare a list of quartz countertops that look like marble. If you prefer to look at samples in person, come visit our showroom and you can even take a sample home with you! A beautiful stone by TCE. Yes it has the generic name of “TCE 1902”, but don’t let that fool you. 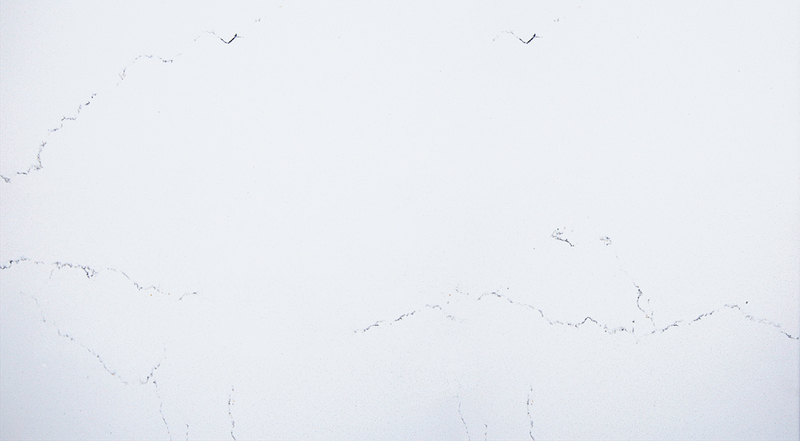 This stone has a gorgeous, thin marbling that gives the otherwise plain stone a natural look. A great choice if you’re wanting white countertops and don’t want them to be too plain. Wide sections of dark gray matrix running through a brilliant white base. We’ve recently completed a kitchen using Staturio quartz. 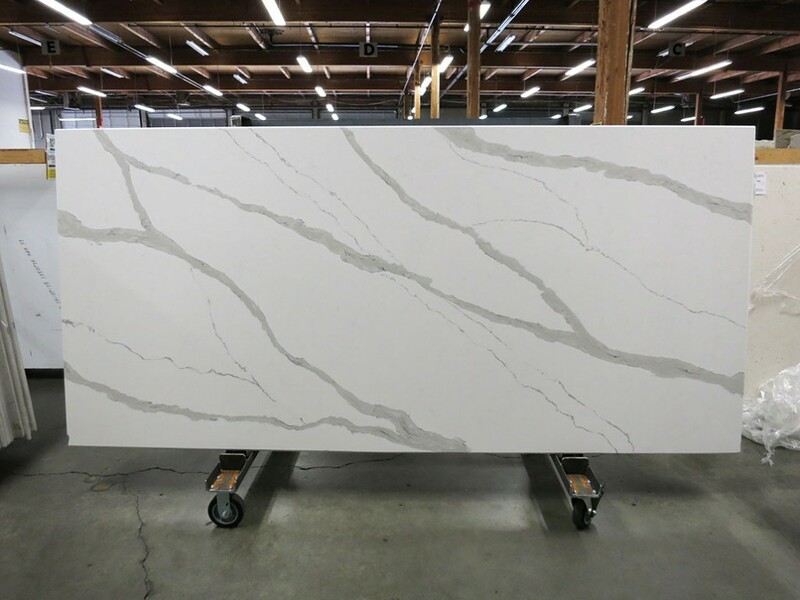 This stone doesn’t have the wide, dark streaks like Statuario and Arabescato. 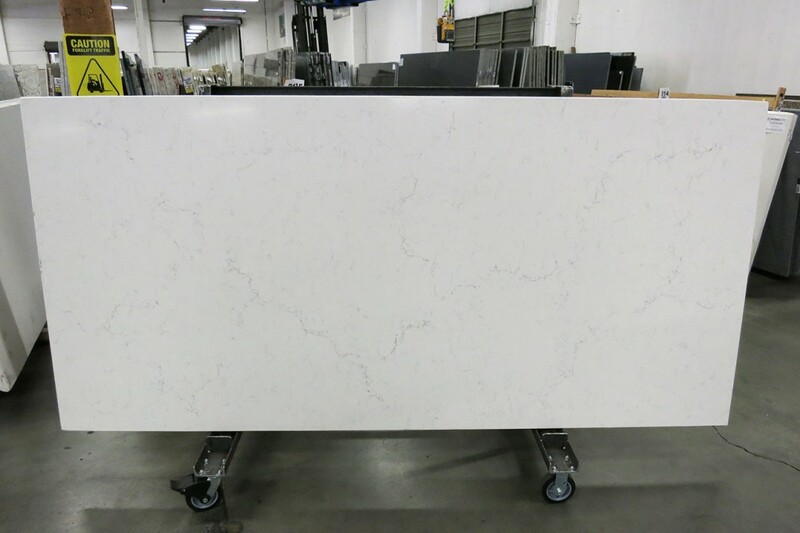 Instead, it has soft veining throughout that mimics white marble. Similar to Misterio, but the colors are much more delicate. This is a good pick if you’re wanting the “all white” look but are worried that a pure white countertop will show too much dirt and stains. Pental knocked it out of the park with this perfect mix of brilliant white stone and dark, beautiful patterns. A solid choice when you want the marble look but don’t want marble.